MAGIC CASTLES — SKY SOUNDS – IS YOUR CLAM IN A JAM? 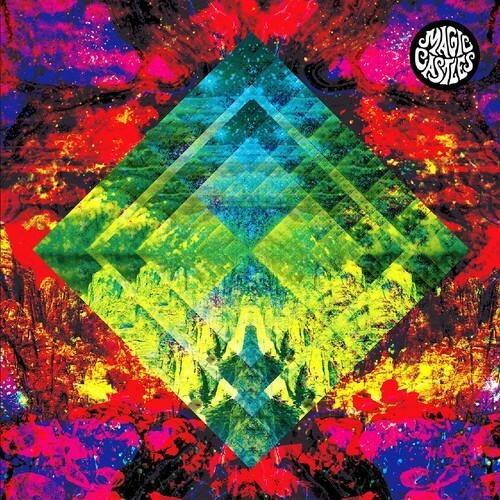 Magic Castles are a five piece from Minneapolis and will be releasing their latest album, Sky Sounds on November 3rd on Anton Newcombe’s A-Records imprint. Drawing influences from both the neo-psych giants of the 80s (Spacemen 3, Galaxie 500) and the more classical 60s West Coast Sound (The Byrds, The Airplane, Buffalo Springfield) their ethereal sound is like a puff of green smoke, lightly dissolving into a purple sky leaving a lingering aura of peaceful inner mystique. Sky Sounds is like waking up under a peculiar secular tree and trying to stare between the branches and leaves above you slowly dancing to a gentle breeze. The sky behind them keeps changing colours like paint inside a jar of water, the stars, the sun and the moon the only seemingly still points. The purple hues give way to alabaster orange bursts which turn into blue bubbles and green crystal constellations. You stand up under your tree and start hearing a sound calling you from somewhere above, a speechless voice directing you down the pink hill you’ve woken up on. You start floating down you’re astonished by the heavenly alien surroundings and can barely keep your joy inside. As you float a little further down, you find another tree, similar, yet different to the one you had chosen – or had it chosen you? There another soul has woken, and as you get closer, your eyes lock and become two beams of exchanging energy. Like falling autumn leaves and migrating birds you both are the sky’s reminder of the good things that have been and will come again. Check out Sky Sounds below and pre-order the album HERE.